Researchers find exciting potential for little-known exoplanet – and discover another planet in the process. New research using data collected by the European Southern Observatory (ESO) has revealed that a little-known exoplanet called K2-18b could well be a scaled-up version of Earth. Just as exciting, the same researchers also discovered for the first time that the planet has a neighbor. Both planets orbit K2-18, a red-dwarf star located about 111 light years away in the constellation Leo. When the planet K2-18b was first discovered in 2015, it was found to be orbiting within the star’s habitable zone, making it an ideal candidate to have liquid surface water, a key element in harbouring conditions for life as we know it. The data set used by the researchers came from the High Accuracy Radial Velocity Planet Searcher (HARPS) using the ESO’s 3.6m telescope at La Silla Observatory, in Chile. HARPS allows for measurements of radial velocities of stars, which are affected by the presence of planets, to be taken with the highest accuracy currently available. Hence, this instrument allows for the detection of very small planets around them. 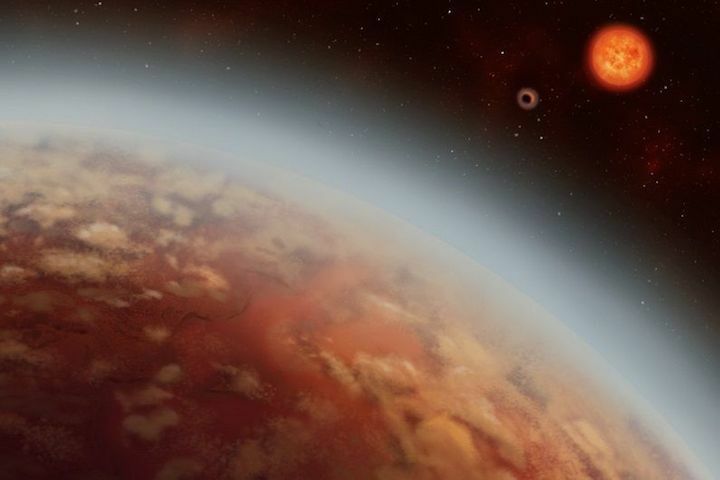 Cloutier collaborated with an international team of researchers from the Observatoire Astronomique de l’Université de Genève, the Institute for research on exoplanets (iREx), Université de Grenoble, U of T Scarborough, and Universidade do Porto.